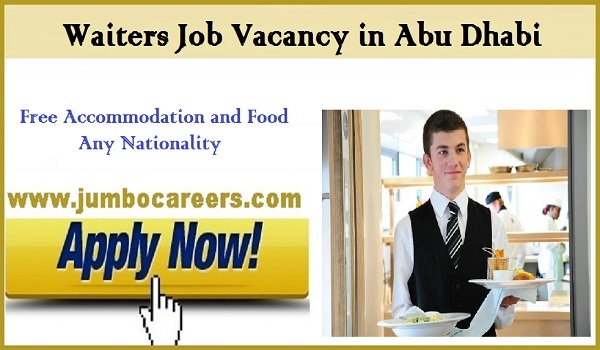 Leading restaurant in Abu Dhabi requires experienced waiters. Remarks : This job is not direct company recruitment. This is through a job consultancy.